Shopping for Superman Car Accessories? 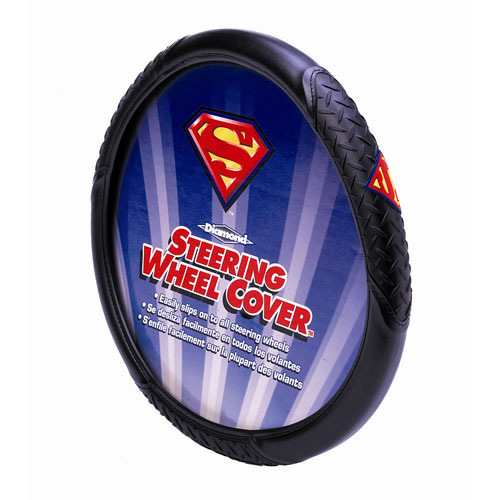 Add a custom superhero look to your interior and protect your hands from hot and cold extremes with this Superman Logo Diamond Steering Wheel Cover featuring Supe's logo. Embossed for durability and style, it boasts a comfortable leather-like feel. The molded core stretches snuggly around the steering wheel in seconds on most cars, trucks, and boats. Measures about 15 1/2-inches x 14 1/2-inches. Ages 16 and up.